to running business with the least impact on the environment. In practical terms, the problem of dust in the cement manufacturing process originates from 3 main sources. 1. Fugitive dust from in-process transportation system including other sources from related activities such as clinker and cement loading. All these factors must be taken into account to minimize the problem of fugitive dust. Bag Filters are applied to deal with any in-process transaction such as at turning points. 2. Fugitive dust from out-process transportation. 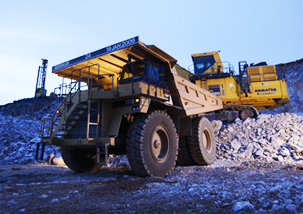 The wide spread nature of a cement factory and the uneven roads within its boundaries such as the routes to the quarry and limestone crusher area, inevitably creates increasing amounts of dust. Raw material (limestone, shale, and clinker) and natural fuel (lignite and coal) are also dropped accidentally during transportation. 3. Fugitive dust from stack emission. 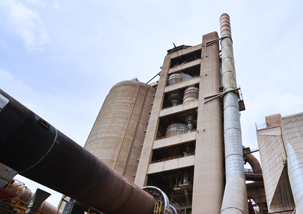 SCCC has installed an Electrostatic Precipitator (EP) to reduce stack dust emission. This system is in common use by cement manufacturers and is highly efficient, achieving a 99.95% dust reduction in stack emission. Moreover, SCCC has also installed state-of-the-art technology known as Continuous Emission Monitoring System (CEMS) to monitor and measure EP operations since 1994. A serious of continuous environmental programmes are now in place and can be described as follows. Improve road conditions at th junction between Factory 3 and Quarry Dept. Improve the area around the Limestone Crusher. Minimize dust dispersion from Hopper in Limestone and Shale Section. SCCC has adopted an energy conservation project to make more efficient use of natural resources and achieve cost savings on a systematic basis since 1998 prior to the Thai Energy Conservation Act. 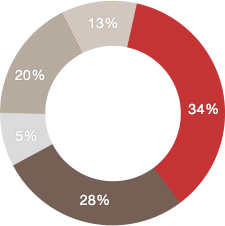 Generally, about 40% of total cement production costs relate to electricity utilization. When compared with other industries, the cement industry is regarded as a major consumer. It is therefore appropriate that energy conservation be seen as a top priority. All personnel responsible for controlling the utilization of electricity report to a control committee. The objective is to be able to monitor each particular operation and is an important part of SCCC's environmental management system. As of today, environmental awareness is an issue of great importance to many business operations. Environmental care projects have been introduced in many industries as part of a planned programme of sustainable development. For example, the Tourism Authority of Thailand has been a strong advocate of Eco-Tourism. 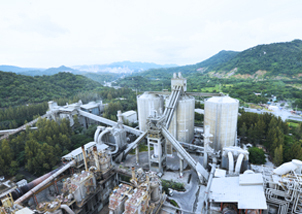 As one of Thailand's leading manufacturers of cement products, SCCC has demonstrated its commitment to environmental conservation by actively applying the concept of Alternative Fuel and Raw Material (AFR) utilization since 1998. Practical examples of AFR implementation are producing Synthetic Fuel from industrial waste (in the form of lube oil) to minimize and replace the use of natural fuel such as lignite, coal and bunker oil.